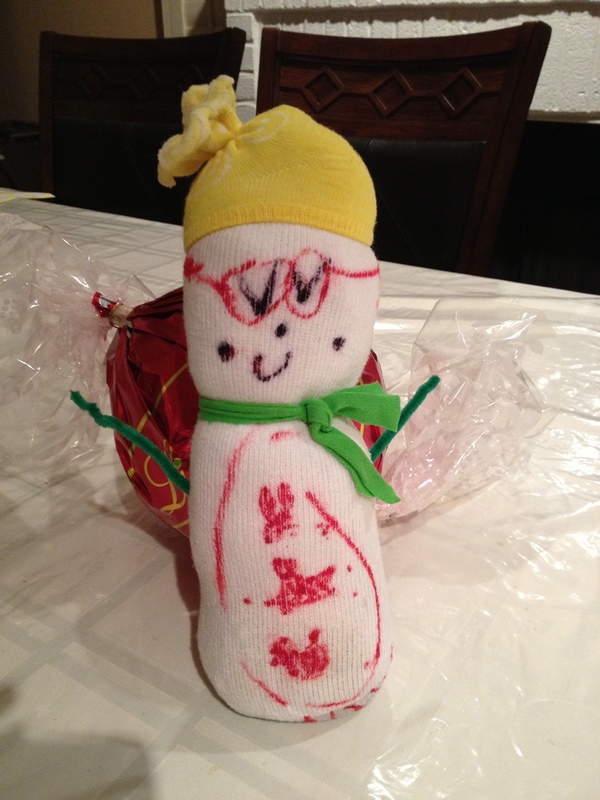 I can’t really take credit for the ideas (most of it goes to my sister), but here are some holiday arts-and-crafts projects that we did with Katie and her cousins Ari and Ben. 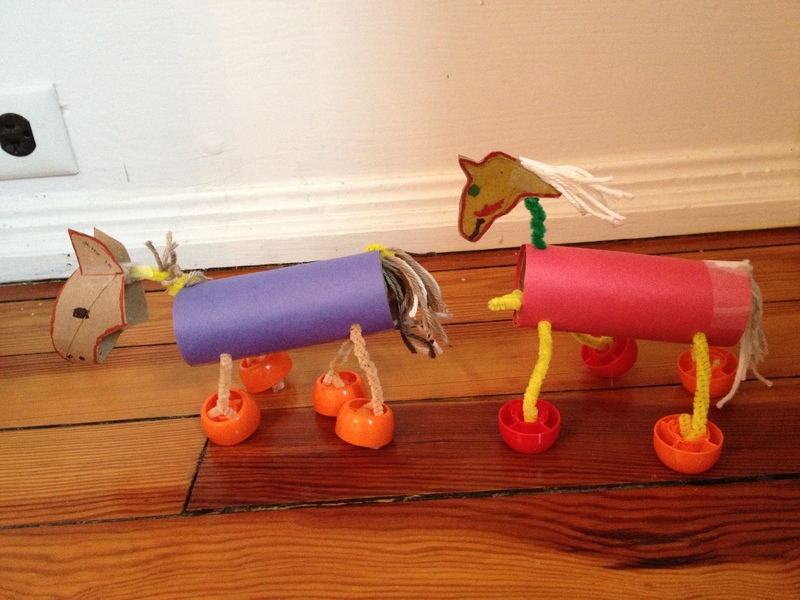 Horses made out of a toilet paper roll, tops of baby food pouches, and construction paper. 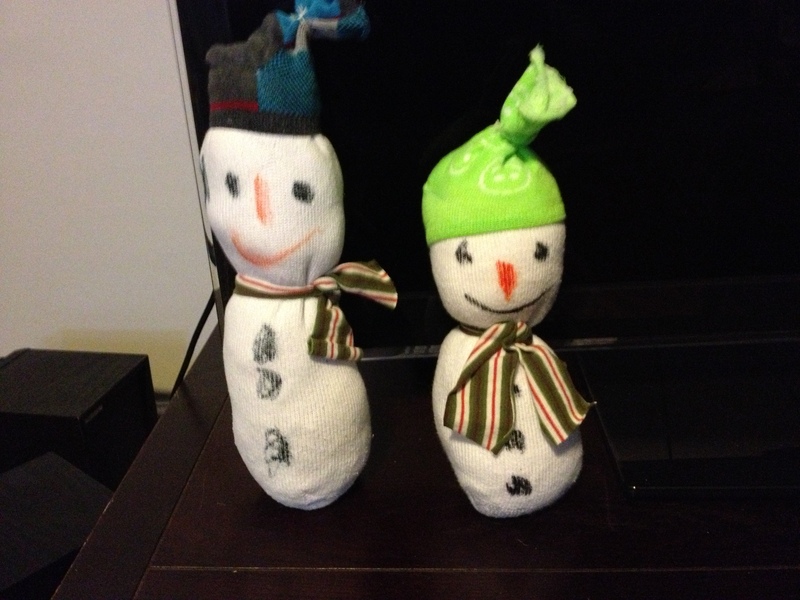 Ari and Ben’s snowmen made out of stuffed socks. 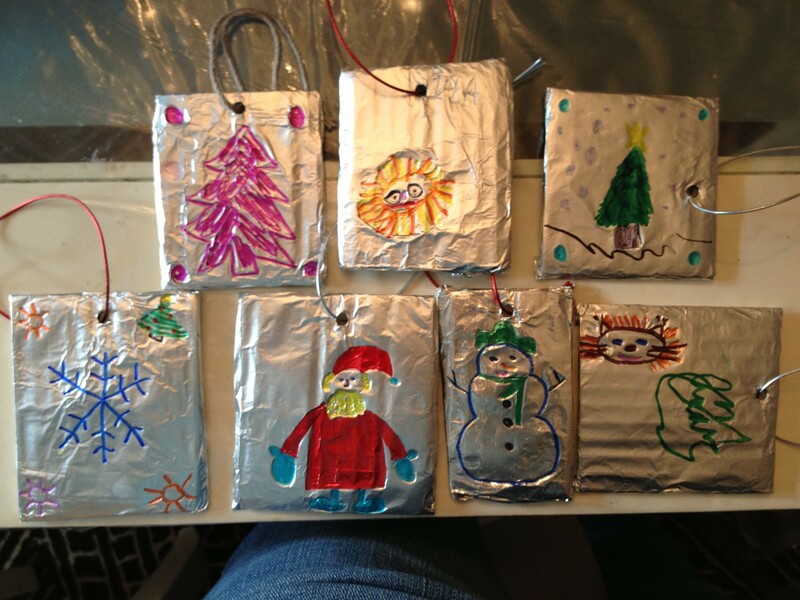 Tree ornaments; drawn with sharpies on tinfoil. Aside | This entry was posted in Uncategorized and tagged art, not math. Bookmark the permalink.